After the failure of Liu Yi Fei, Zhong Li is infuriated and volunteers to go and get the agreement from the British Side. One small problem, the British fortress is practically impenetrable and would likely be a suicide mission. 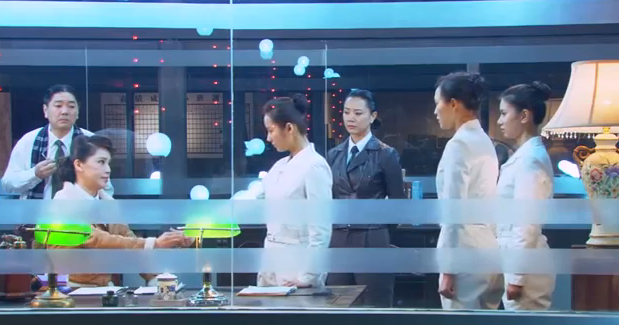 Zhong Li is adamant and says that she has to go and try to get the Agreement, for the sake of her group’s survival. The surperiors argue with her. 4 agents have tried to get inside the British compound and only 1 came back alive. Zhong Li brightens up and says that at least 1 came back. Yes, but that agent also lost a leg. But the Director agrees, because this will be a good way to get more intel on the british compound and if they lose Zhong Li then his plan to kill her off would be complete. Zhong Li gets read to go and the two girls of her group try to stop her. Saying that they want to go with her. She tells time that don’t be silly, this is a solo mission and she will come back alive. She meets up with Command He, who tells her that the fortress is surrounded by guards, wires, and all assortments of traps. Her best bet is the roof, where she needs to time it just right so she can get through 3 giant fans that are rotating very fast. Then she needs to find the vault where they kept the agreement and then somehow get back. 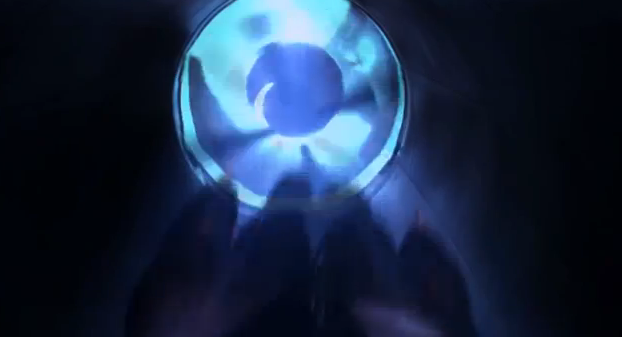 Zhong Li is undeterred and makes it to the roof where she sees the giant fans. You gotta give this girl credit for her guts. She is fearless and drops down into the building without getting sliced into sashimi. But the inside is a maze with a hall of mirrors. 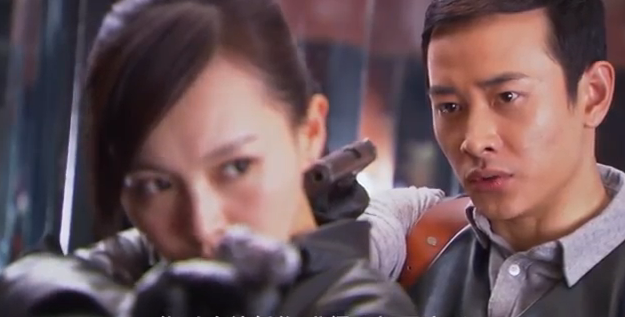 Zhong Li is about to go into one of the rooms when she feels a gun at the nape of her neck. Its He Jun Fei and he’s all business. She fights but loses her gun in the process and he kicks it into the room she was about to enter. The gun hits electric trip wires and he cooly tells her that had she gone in, she would have been fried to death. He takes her to the basement of the building and places a heart rate monitor on her chest. He tells her that its connected to the bomb and it will go off when her heart rate goes past 130. He leaves her there and she struggles, trying to get free. Suddenly the bomb chimes and she realizes that it was just a normal clock. Zhong Li makes it back to the base where she is greeted with cheers. Even though she has failed her mission, she has gotten back safely and her group mates are overjoyed. People had taken bets on whether or not Zhong Li could come back and Zhong Li learns that commander He had bet that she did. 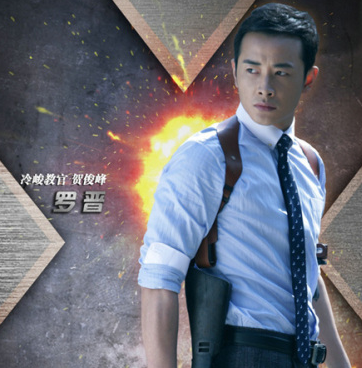 Commander He is also the one that the Director told that they should kill Zhong Li. Now the Director changes his mind about killing her because she has proven to be useful and they place her under observation. Not knowing any of this, Zhong Li is bummed about the failed mission and she talks to one of her male comrades who point out that everyone adores her. She sighs that thats not true. The ones that think she’s all that are the ones that just came in. Everyone else just pities her. Tang Rei Lin sees that her mates have all give their hardest and she is the only one that hasn’t tried to help in any way possible. She not only feels that she’s not pulling her weight but is also bringing them down. She decides that she has to try and get the agreement. The teachers all try to talk her out of it when she requests it, except Commander Sun. 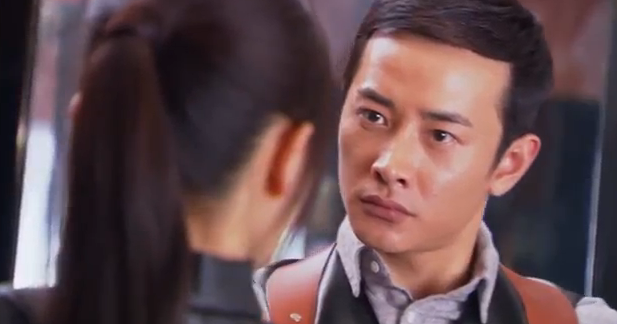 Tang Rei Lin, seeing that they won’t let her do it, tells them that she will either get the agreement or die trying. And She means that in the most literal sense and writes a promise to that effect. If she doesn’t get the agreement, then she will kill herself. Commander Sun is perfectly fine with that and tells all the teachers that if a student is this eager, it would be wrong to stop her. 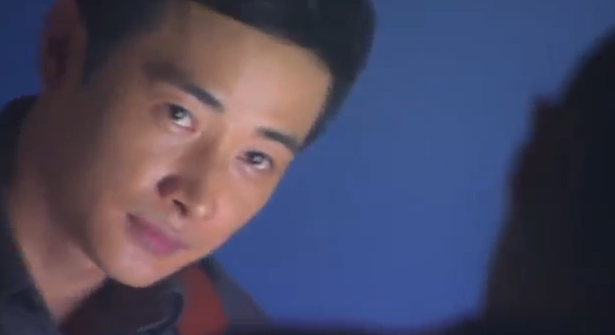 This time, they are going to try Li Da Shan (the guy who Liu Yi Fei failed) because they feel he might be not as on his guard since they’ve failed on him before. Li Da Shan has a relative whom Zhong Li’s people are able to blackmail into helping with the ruse. Li Da Shan walks down a neighborhood as he passes by a pretty young girl (Tang Rei Lin) who is at the head of a funeral procession. Li Da Shan asks his (blackmailed) relative what is going on and his relative replies that the girl’s husband was a good for nothing who left her with a mountain of debs (that she owes to the relative). Now the only way she can pay it back is to become a prostitute. Li Da Shan can’t get the girl out of his mind and he sees her again when he goes to the neighborhood, this time being chased from thugs. He asks if she could make him some tea and begins to talk to her. She tells him that she didn’t have any relatives, she had been sold to her first husband and now her second one is dead. She’ll pay back the money as long as he doesn’t make her sell herself. The intrigue is there but I think the story is moving at a slower place than I want it to. I actually came for the love story and I’m not seeming nearly enough Luo Jin to quell my impatience. So yes, there better be some hunkagoodness soon or I will not be happy. Seriously, if you had such a pretty guy playing a good, kickass part then you should have him in every episode for a good part of the episode. And yes, I have not had my fix of good looking men yet so i might have to go and watch other dramas to get my fill. For now, I will wait patiently for my boy to show up on screen and hold my annoyance at bay. 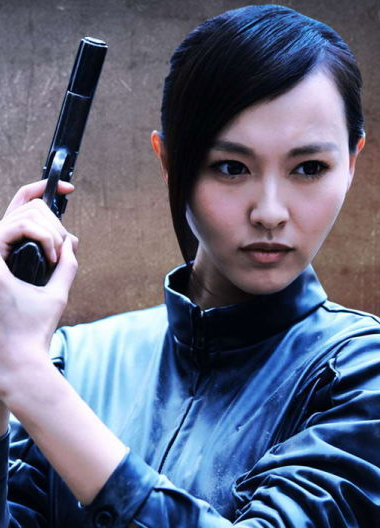 Nice to see some Chinese Dramas recappers. It’s rare. We’re here, safely tucked away in our niche. A beacon of uniqueness in the ever raging torrential onslaught of the korean drama wave. Yeah there’s a lot of korean drama recappers. I recap about HK Dramas. Really? I totally have to check that out! thanks for the heads up! donde puedo ver el drama?